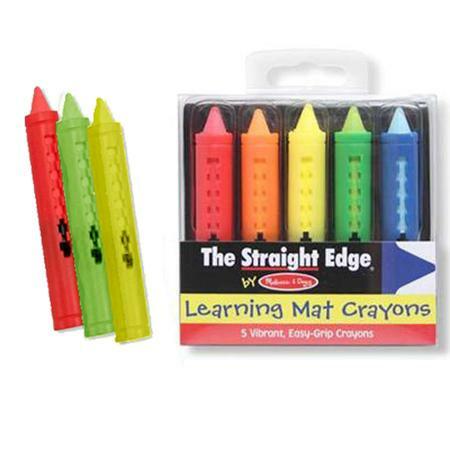 Perfect for coloring with the Melissa & Doug® Learning Placemats, this set of 5 easy to grip crayons are vibrant and fun to use again and again. 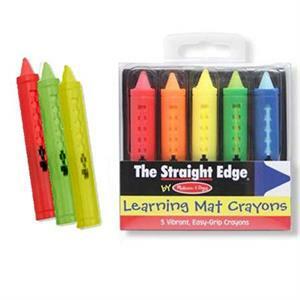 To use, simply push the back button on the side of the holder in and slide forward to extend the crayon. Crayon marks can be washed away with a wet paper towel, making creativity last for hours. Recommended for ages 3+.